I mainly read at night. When everything is quiet, peaceful and calm. How about you? Do you read at night? 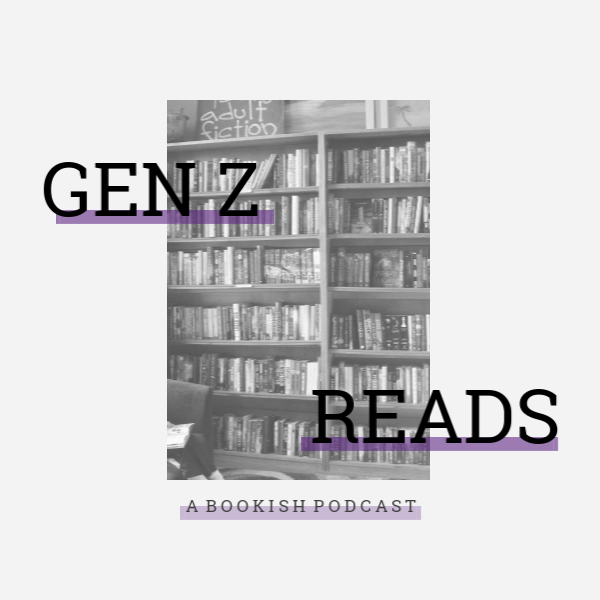 In this tag, you'll find out what books have kept me up all night or made me go to sleep. 1) A BOOK THAT KEPT YOU UP ALL NIGHT. Please. A lot of books have kept me up all night but I remember reading I'll Give You The Sun till midnight. 2) A BOOK THAT MADE YOU SCARED TO SLEEP. I never read scary books, I don't like getting scared. But, after reading Through the Woods... I had nightmares. 3) A BOOK THAT MADE YOU GO TO SLEEP. Tiger's Curse and The Elite both gave me the zzz's. 4) A BOOK THAT LEFT YOU TOSSING AND TURNING ALL NIGHT IN ANTICIPATION OF ITS RELEASE. Winter and Carry On. I COULDN'T WAIT. I'm still tossing and turning for Glass Sword, The Crown and THE RAVEN KING. I NEED THEM ALL. PLEASE. I have a lot of these ships now. I changed my ships after doing this tag and I need Peeta and Lara Jean to be a couple right now. 6) A BOOK THAT WOULD BE YOUR WORST NIGHTMARE TO LIVE IN. 7) A BOOK THAT REMINDS YOU OF NIGHT TIME. The Wolves Of Mercy Falls. Wolves and darkness go really well together. 8) A BOOK THAT HAD A NIGHTMARISH CLIFFHANGER. Please. Can we talk about that cliffhanger with The Heir and plus that one with Blue Lily, Lily Blue oh oh oh and that one with the Red Queen. They all killed me. UGH. 9) A BOOK YOU ACTUALLY DREAMED ABOUT. Oh dear. I can't remember my dreams that well but.... I did remember having dream about A Court of Thorns and Roses. I had to watch this one part over and over and over again. I started crying in my dream. WHAT IS LIFE. 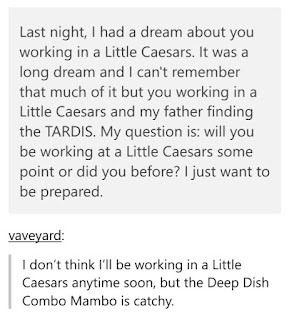 I also had a dream where I was werewolf in Shiver and I just had a dream where Victoria Aveyard was working at a Little Caesars and my father found the TARDIS. Pretty great dream guys. 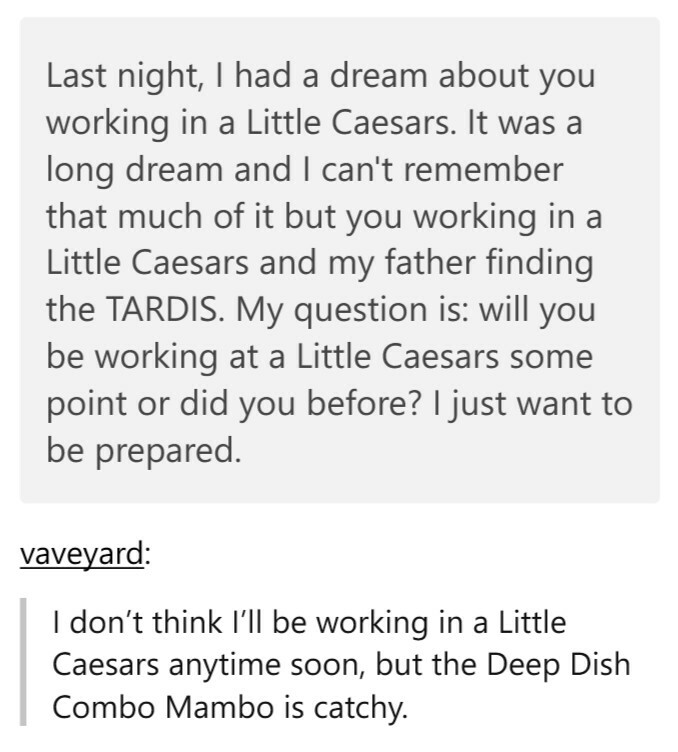 EDIT: I asked Victoria a question about this silly dream I had and SHE ANSWERED MY QUESTION. NOOR. LOOK WHAT I FOUND. PHIL POWER. 10) A BOOK MONSTER YOU WOULDN’T WANT TO FIND UNDER YOUR BED. Ronan Lynch's nightmare monster thing and weeping angels. No thanks. Erin | Zoe | Izel | Lillie and Krystianna. Enjoy! Do you read at night or in the daytime? Do you dream about books? Let's talk about it in the comments! I love your tags Anna! I actually love tags in general (especially book tags)! I can't even begin to name all the books that have kept me up all night long. That is amazing that Victoria replied! She is one of my favorite authors. THE HEIRRRRRRRRRR.... I was so expecting a sequel and when I found out there wasn't one..... ASDFGHJKL It's such a good book! This wouldn't be a post by Anna without a mention of The Raven Cycle! XD And dear GOD are weeping angels creepy. But such a cool concept. And this is so odd, but I had a dream about ACOTAR too and it was...weird. Loved this tag (and the gifs)! ALSO, ALSO huge thank you for tagging me--this is going to be so fun! Haha! Yep! I agree! Doctor Who is just a bizarre but brilliant TV show. No way? That's weird but cool? XD Me too! Thanks for stopping by!